A lot of people tell you that networking in business or at the workplace is a must and that you have to network your way to business partners and to jobs. But it's not that simple. Here are a few notes on networking. 2. Introduce yourself as “we” rather than “I.” When you talk about yourself people tend to think you want to get something out of them. So talk about yourself and your partner(s), as it makes people less uncomfortable. 3. Signal if you are open to people joining you or don't want people to join you. A lot of times people go to networking events, soak in the atmosphere, and then decide whether the average person at the event is worth meeting or not. In some cases you are young and most people are way older, you have average income and the average person is way richer, or you are a Yale graduate and everyone else is a Harvard graduate. 4. Go to networking events with a goal in mind. Are you looking for a job? Most people don't hire people on the first date. Are you looking for funds for your business? Most people don't fund businesses on the first date. 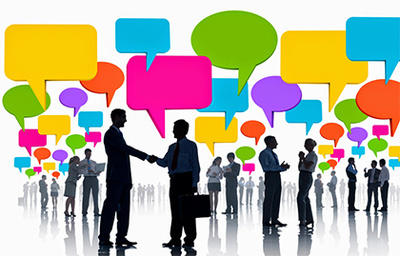 The best way to attend networking events is by simply schmoozing around, that is introducing yourself and your partner, saying what you guys are up to, what you guys enjoy in life, and hope to meet people again for a second, third, fourth, nth date. 5. Some people you meet will be enchanted by your group or couple and will want subsequent meetings. If one person or group of people seems to connect well with you, you want to invite them for a follow up dinner or lunch or drink at some fancy place. After a few drinks together, you get to become friends. 6. Networking events can get a little passive-aggressive or even aggressive at times. People steal your conversation partners, hint that you should leave, or even throw you out of the event, in some cases for no apparent reason. Sometimes you're just stealing the attention, other times the people present at the networking event are like one big exclusive family, and if they see you doing well with the networking, they will get suspicious and kick you out. Or perhaps they were expecting donations that you did not make, or perhaps they were expecting you to buy ten copies the book they were trying to sell and you only bought one. The world is full of crazy people. 7. If you see a person standing alone during the event, you could go talk to them. There are two categories of people who stand alone. The first is people who have to be at the even because their boss forced them to, and they have zero interest in talking to people. They eat a little, drink a little, and leave as soon as their boss liberates them. The other category of lonely people is people who had some kind of interest in the event, did not bring a friend with them, and are not sure what to do during the event. You want to start off by telling the second category that you are not sure what you're supposed to do either, or explain to them what the networking event is all about. 8. Finally, there are no clear appropriate topics at networking events, doesn't matter what all the books and literature says. I usually start with things like “where are you from” and “what brings you here” and take it from there. 9. Finally, finally, a lot of networking events have “assholes” (I like to call them that) who monitor the networking event and prevent some people from talking to other people. In some cases it's for a good cause, as in preventing too many people from talking to the CEO or VIPs, in which case they are not assholes, just undercover security guards who deserve all the respect. But in some cases, they make sure their crowd does not mingle with other crowds and immediately break off conversations between crowd A and crowd B. That's why bringing a friend or a partner along is always a good idea. 10. Finally, finally, finally, if you're not allowed to bring someone along, you need to understand that some networking events are better than others. Some just want your money, some just want to show off by inviting you because you're a “white guy in a crowd of Asian people” or because “you're an Asian guy in a crowd of white people” or because you work for Goldman Sachs, or any other reason you can think of. Others really want your presence and welcome everyone's presence, and the event will be a lot more fun.